Our tour this time was to feature food & wine and it did not disappoint one bit. A surprise addition was time spent in Sorrento after our olive oil tour and we were able to spend on hour in Sorrento to shop, before proceeding to the Mozzarella farm. 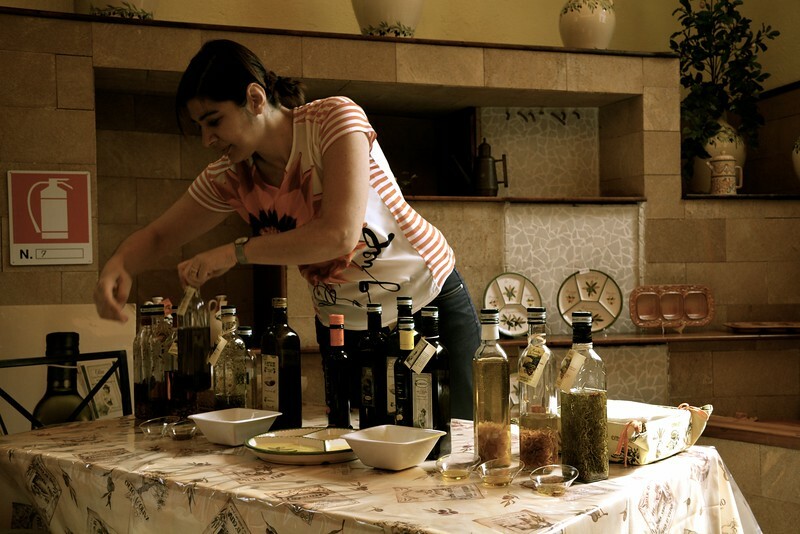 The olive oil presentation was fantastic with so many different “quality” oils to taste with bread. Previous to the tasting, we were taken to the olive trees in the garden where our hostess explained how olives are chosen, harvested, and then pressed. Following the olive oil farm, as mentioned above, we went to Sorrento for an hour. After Sorrento, we then proceeded to a Mozzarella farm where we had a demonstration of how Mozzarella is made. They then led us to tables where we not only tasted freshly made Mozzarella, but also delicious ricotta cheeses, tomatoes, and plenty of wine! we also then had shots of two different kinds of limoncello. We were all impressed with the plenty of food, wine, and liquors that were served (including grappa!). 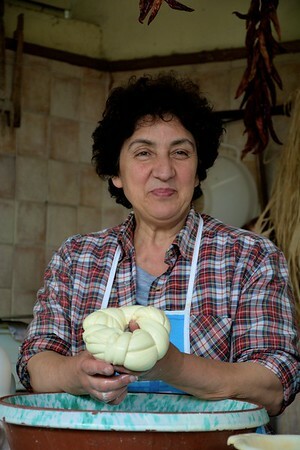 After the mozzarella farm we then proceeded back towards the direction of Naples to go to a Vesuvian winery (Catania). We had a short tour of the winery and also had a full lunch (fresh pasta with tomato sauce) and plenty plenty plenty! of wine!!! 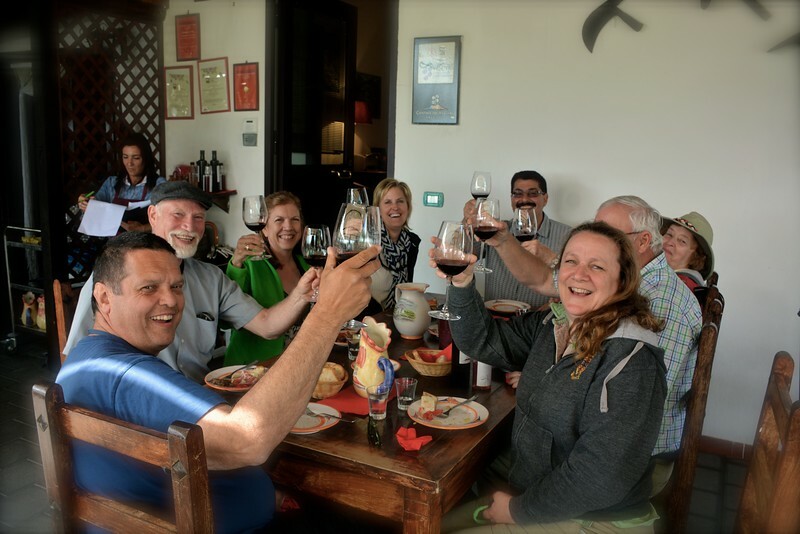 I am not sure what was more corked – the wine on the premises OR our group. What a fabulous day we had in Naples!!! When we returned to the ship, we relaxed on our deck, as we knew we had reservations at Ocean Liners as a special invitation from the Guest Relations Manager, Sinesi. We didn’t know what to expect, but we were thankful to receive the reservation for 8 pm, giving us time to relax after Naples and digest all that we consumed throughout the day. 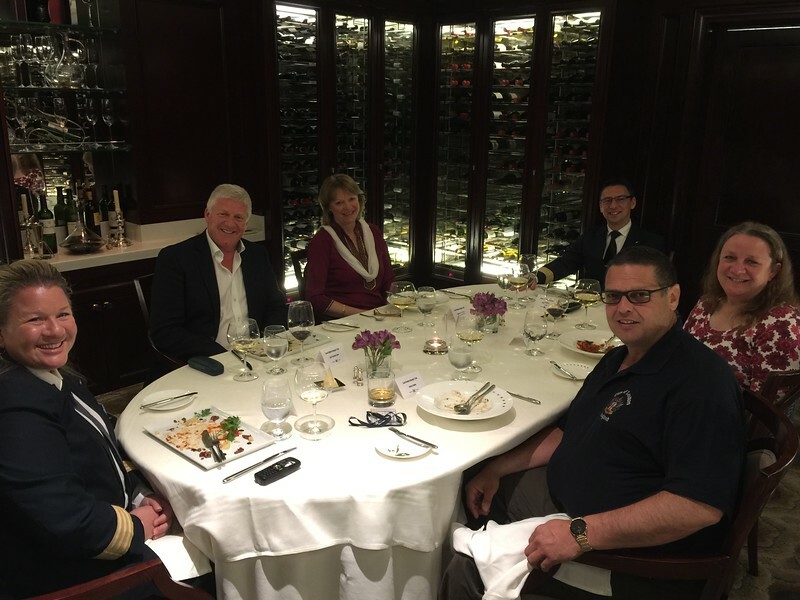 At 7:50 pm we went to Michael’s Concierge to meet for dinner and then were escorted to Ocean Liners where we were directed to the wine cellar room for dinner. The dinner table was set for 6 people, HR Manager Shannon, Guest Relations Manager, Sinesi, and one other couple were invited. The dinner itself was spectacular – a real 5***** service and food – with every attention to detail. We had a lovely evening with our hosts Shannon & Sinesi and the company of the couple from England. Truly an unforgettable day and evening!! !